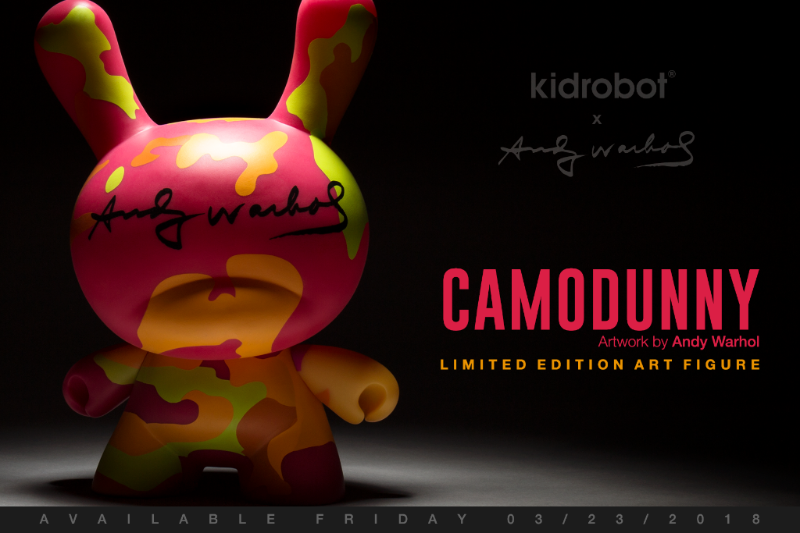 Kidrobot and The Andy Warhol Foundation have teamed up again for an all new addition to the Kidrobot x Andy Warhol Collection with the limited edition Andy Warhol 8-inch Masterpiece Camo Dunny. 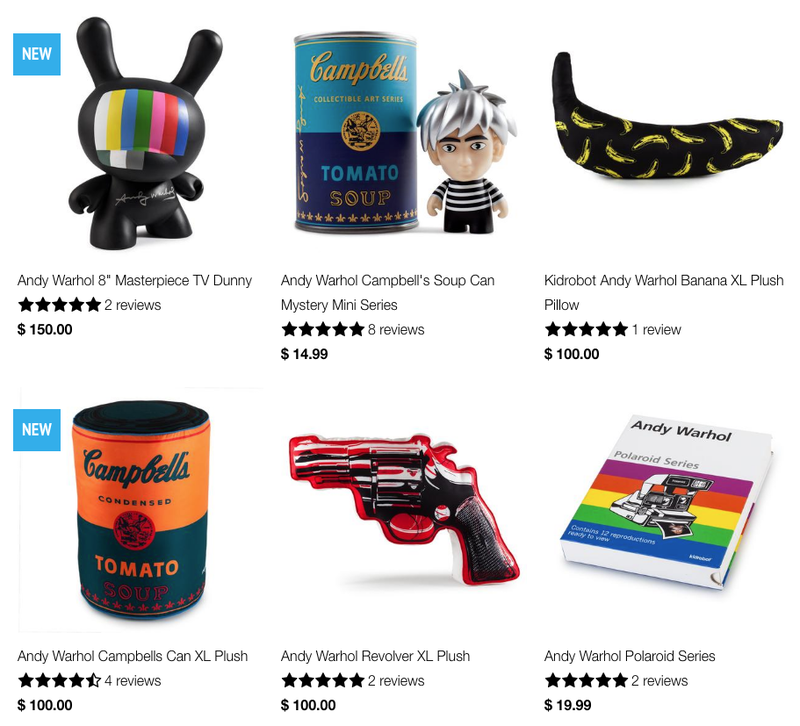 This inspiration for the camo print of this vinyl designer art toy is based on the question Andy Warhol posed to his studio assistants, What can I do that would be abstract but not really abstract? 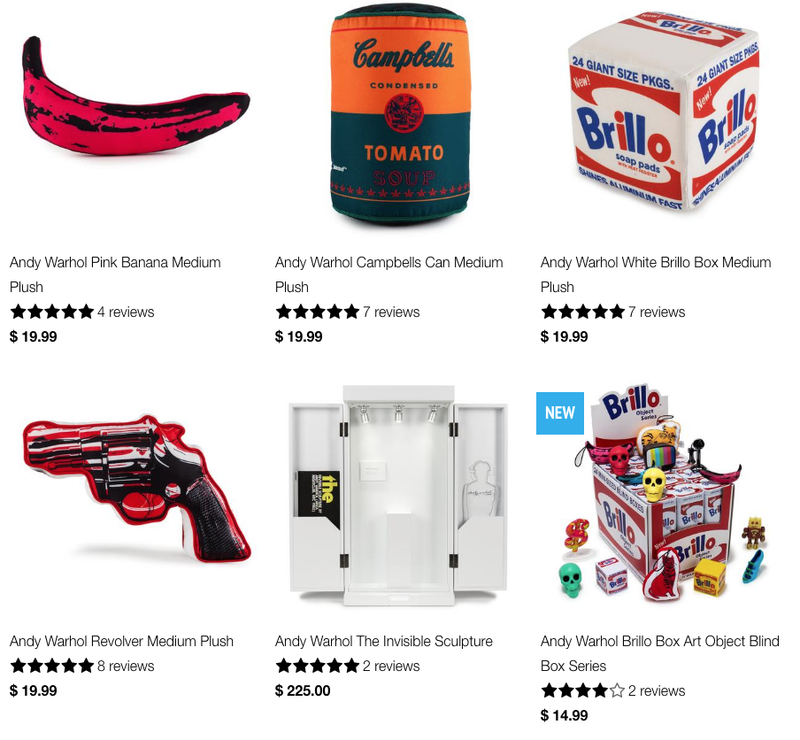 Inherently abstract, yet instantly iconic, Andy Warhol’s Camouflagepaintings, created in the last year of his life (c. 1986) is an enduring testament to the brilliant hybridization of high and popular culture that characterizes the legendary Pop oeuvre of Andy Warhol. Unlike military motifs, Andy Warhol’s Camouflage prints reflect bright and inorganic colors that would not be suitable for any landscape. Andy Warhol once said “If you want to know all about Andy Warhol, just look at the surface of my paintings and films and me, and there I am. There’s nothing behind it.” Take a look at the print featured on this piece and see Andy Warhol. This art piece is packaged in a gorgeous window box with flap and is limited and numbered to 500 pieces worldwide so don’t pass this collectible up. 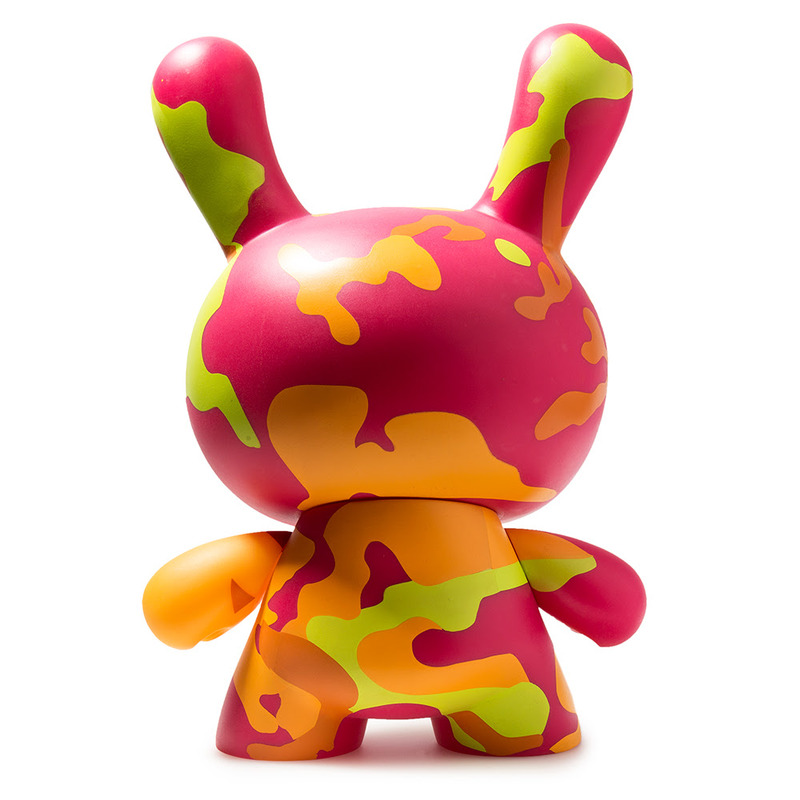 This Andy Warhol Masterpiece Dunny is the next in the Limited Edition Masterpiece Dunny collection. 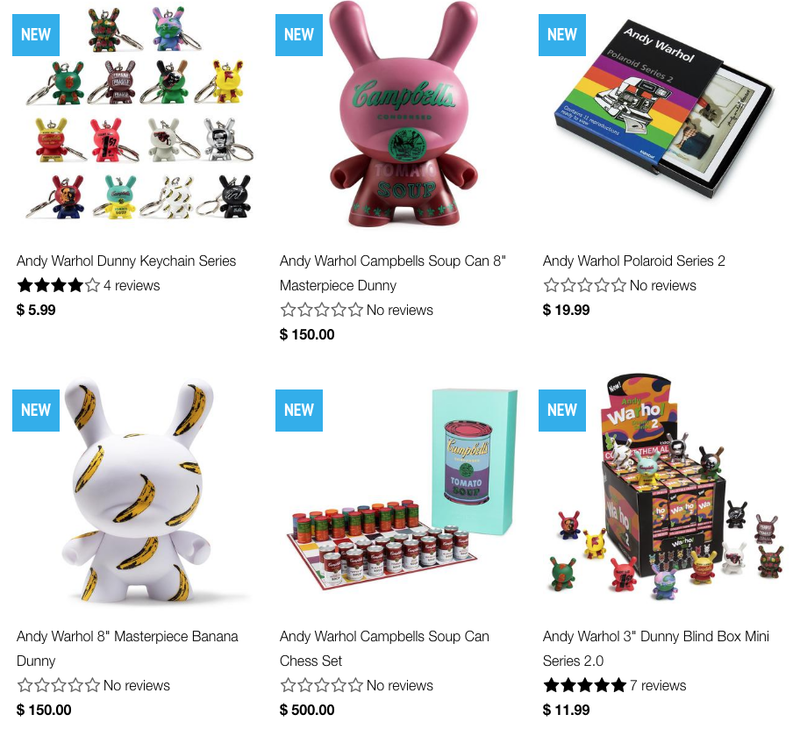 Shop the Masterpiece Dunny collection now as well as our the full collection of Andy Warhol collectibles, art figures and toys now at Kidrobot.com! [Sponsored] CapsuleCorpComics.com Christmas Sale! Today-December 26th!